Study pinpoints Arctic shorebird decline and it could be our fault! A new study addresses concerns over the many Arctic shorebird populations in precipitous decline. Evident from the study is that monitoring and protection of habitat where the birds breed, winter, and stopover is critical to their survival and to that of a global migration spectacle. To understand why arctic shorebirds are declining and the role humans may be playing, Dr. Rebecca Bentzen of the WCS Arctic Beringia Program and her colleagues set out to quantify adult bird survival. The scientists collected and combined data across nine breeding sites in the Canadian and Alaskan Arctic in 2010–2014, engaging in unprecedented levels of collaboration as part of the Arctic Shorebird Demographic Network. Sites included the Teshekpuk Lake Special Area in the National Petroleum Reserve-Alaska (NPR-A) and the coastal plain of the Arctic National Wildlife Refuge (ANWR). 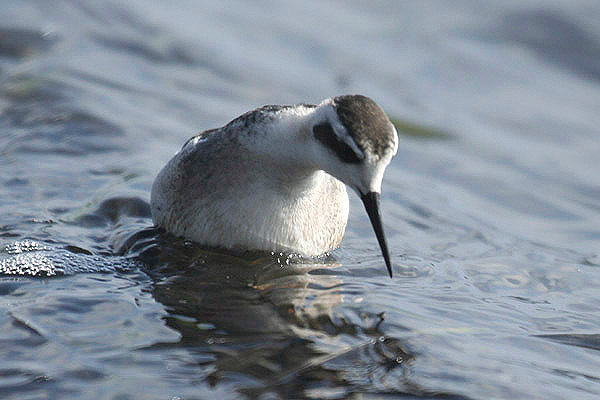 Six species of shorebirds were represented in the study – American golden plover, dunlin, semipalmated sandpiper, western sandpiper, red-necked phalarope, and grey phalarope. 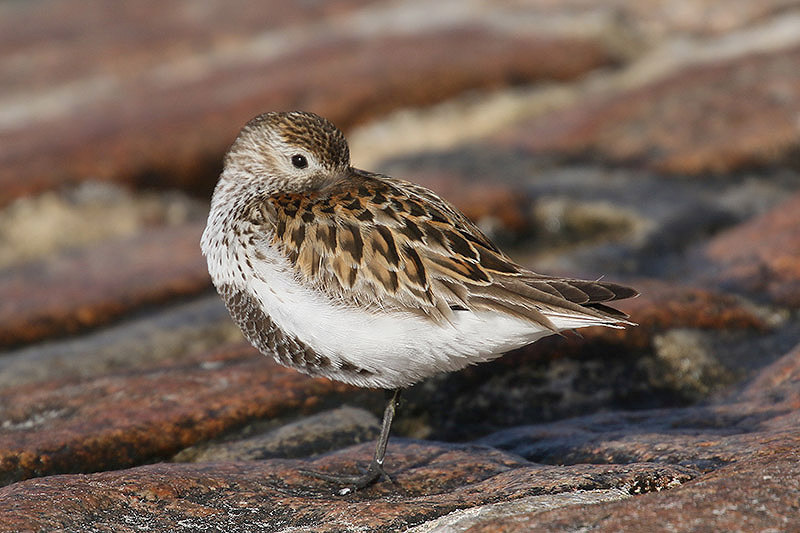 Testing how ecological and human-related variables affected the adult annual survival of the birds, the scientists observed few breeding ground impacts, suggesting that shorebird declines are not currently driven by conditions experienced on the Arctic breeding grounds. This could change, however, with a warming and more variable climate, and oil extraction in environmentally sensitive areas such as ANWR’s coastal plain or around Teshekpuk Lake in the National Petroleum Reserve. In addition, the study found that the survival of five species of shorebirds that migrate from breeding sites in the Alaskan and Canadian Arctic to wintering areas farther south in the Americas is robust, presumably due to favourable conditions in the nesting areas along that flyway. Meanwhile, dunlin — a shorebird species that migrates to wintering areas in the East Asian-Australasian Flyway on the west side of the Pacific have poorer adult survival. 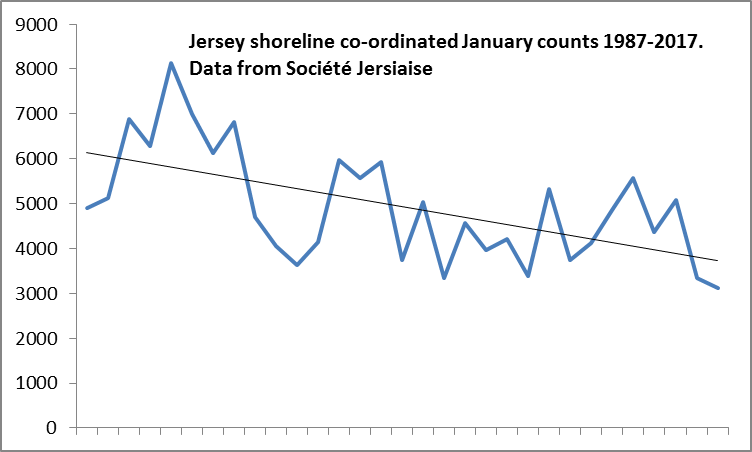 Are declines in Arctic shorebird counts happening in places like Jersey? The authors surmise that loss of habitat at migratory stopovers or overwintering sites on the East Asian-Australasian Flyway are responsible for driving poorer adult survival rates and should be a focus of future conservation efforts. Bentzen notes that the results should focus attention on habitat needs in the East Asian region. In addition, breeding grounds should be carefully monitored and protected as climate impacts and potentially development encroachment increases in and around these critical Arctic breeding habitats. 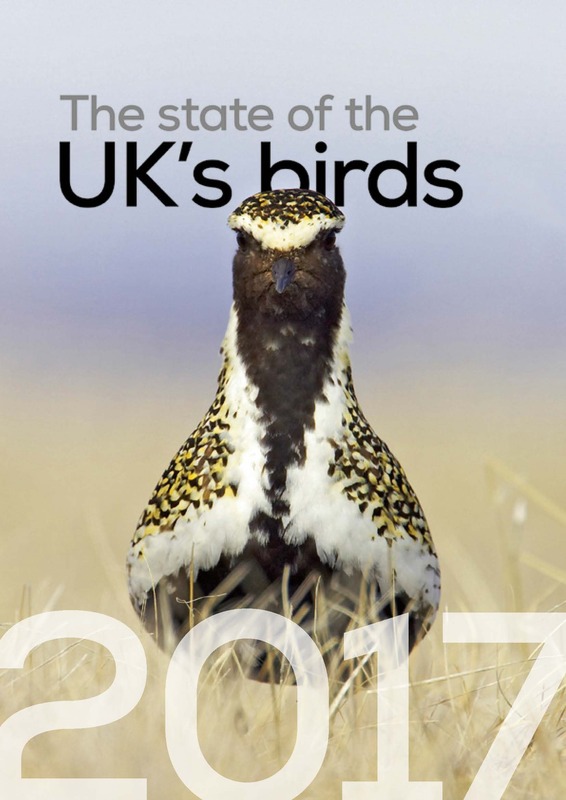 Just published, the latest State of the UK’s Birds Report highlights how our birds are doing. Some of our summer migrants are arriving earlier, the distributions of others are moving north and some are just beginning to colonise. The report is only possible due to the efforts of volunteers who take part in BTO surveys including those throughout the Channel Islands. In the UK Overseas Territories, there are positive signs of recovery for four endemic land birds on Henderson Island and updates on a successful translocation project for the cahow. The RSPB’s Project Puffin has taken the first steps in solving the mystery of why some puffin colonies in the UK are in dramatic decline after scientists analysed more than 1400 photos sent in by the public, helping them to build a better picture of what these seabirds are feeding their chicks. UK coastlines have come alive each spring with the sight, sound and smell of puffins nesting and raising their young, known as pufflings. With their bright orange bills and distinctive eye markings people from around the world visit puffin hotspots in the UK and Ireland to photograph the bustling colonies. However, in recent years puffin numbers have plummeted at some colonies, and experts estimate that without help more than half the global puffin population will disappear within the next forty years. 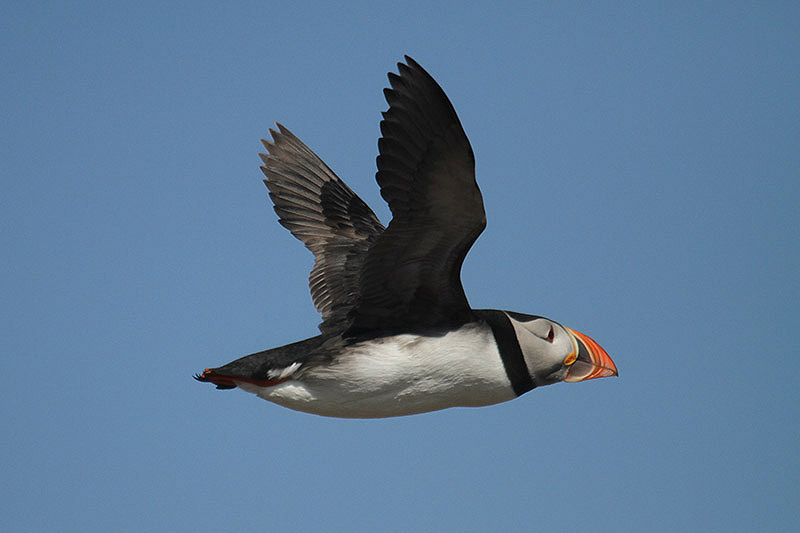 In the summer RSPB scientists set out to understand more about the differing fortunes of puffins around our coasts. The project aimed to capture a snapshot of what puffins are feeding their young at as many colonies as possible, as it is thought their food supply has been negatively impacted by warming seas and shifting ocean currents. By enlisting the help of the public, also known as the ‘Puffarazzi’, 1,402 photos of puffins bringing food to their chicks were sent to the team. The photos have helped scientists identify areas where puffins are struggling to find the large, nutritious fish needed to support their chicks. Early results suggest that the diet of puffins vary significantly around the UK – in the northern isles of Orkney and Shetland, where serious puffin declines have been seen, puffins appear to be consistently finding smaller prey compared to most other colonies. 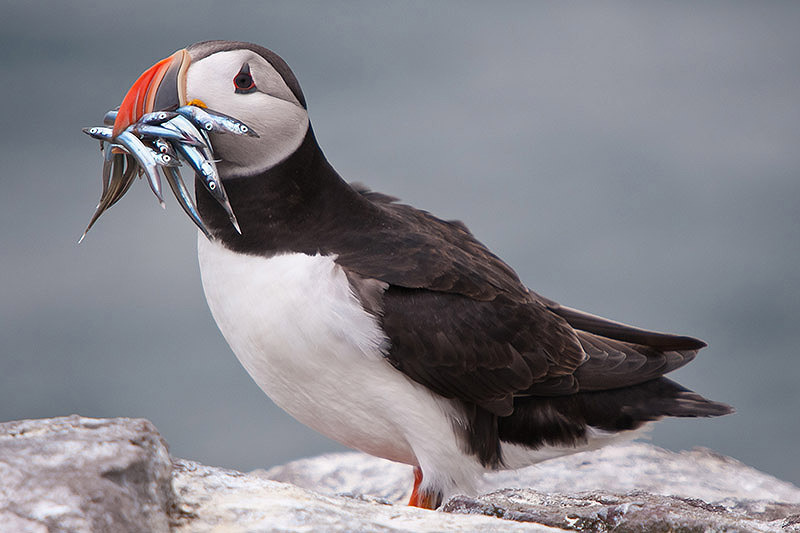 Traditionally puffins feed on a mixture of fish, but with nutritious sandeels making up a high proportion of their diet. The photos from puffin colonies in northwest Scotland show that sandeels are making up about half of their diet compared to the two-thirds at colonies in southern Scotland, northern England and Wales. Ellie Owen, RSPB Conservation Scientist leading the Project Puffin team, said: “puffins colourful bills and unique eye markings make them a favourite bird to photograph. The huge response to our appeal for photos has been incredible, with more than a thousand submitted. It’s taken the team of staff and volunteers more than three months to go through them all. The details Sangan Island Conservation has asked for our help to cut down willow encroaching into the meadow at Grouville Marsh SSI and build a dead hedge along the stream edge. We will leave the carpark at 10:20 for a 10:30 start and plan to work until about 12:30. The task Cutting back willows and other vegetation and dead hedging along the stream bank. Clothing needed. It can get very wet here and Piers has let us know that wellies will be absolutely essential!. We’ll work until 12.30 when we will have a hot drink and a slice (or 2, if we can get away with it) of Kim’s yummy home-made cake! 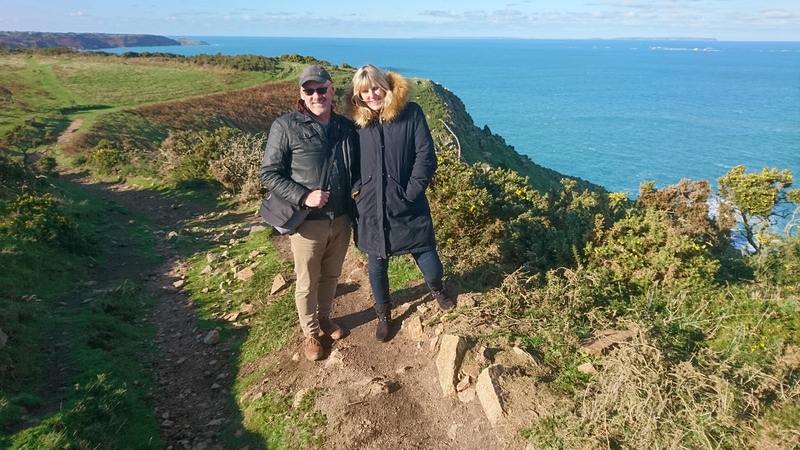 Choughs took flight this month to explore the west coast of Jersey. Photo by Trevor Biddle. Having spent most of November on holiday or in bed overdosing on Lemsip, I thought I would get away with not having to write anything this month. However, as is now tradition, it is times like these when the choughs start hitting the headlines. So, thanks entirely to public sightings, I have the following news to share. There have been a couple of positive sightings of choughs at Petit Port and Corbiere once again. 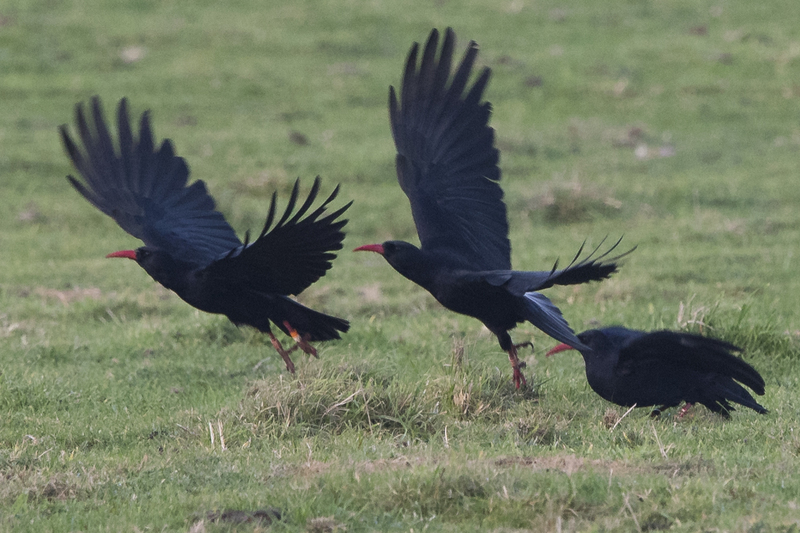 We never know every individual involved, but we do get at least one or two positive sightings of choughs in the area each year around this time and this year we have had some positive identification like Roy Filleul’s photo of PP003 at Corbiere and Mary with friend in the NT Field, St Ouen’s Bay. 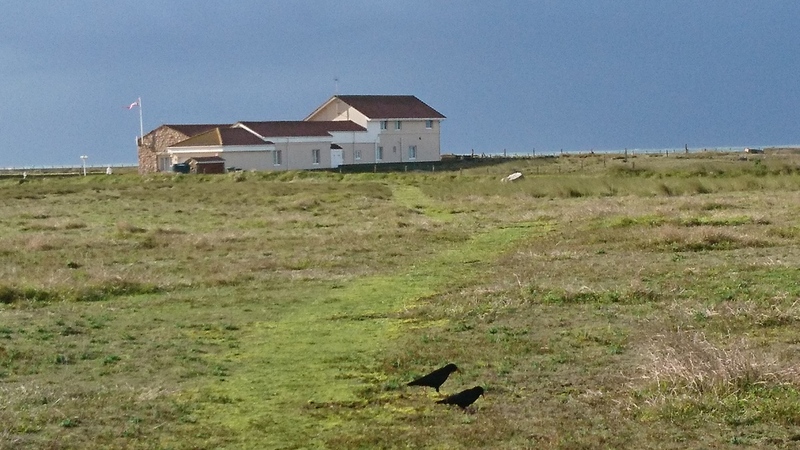 Staff at Simon Sand & Gravel Ltd had a surprise sighting of two choughs flying around their buildings on 3rd November. They managed to film it and post on their Facebook site, see below. Since then we have been receiving reports of choughs making the most of St Ouen’s Bay. It tends to be 2 to 3 birds at a time, no large groups, and they are seen in the same places (although there could be observer bias in that). We had a report of a chough drinking from the water’s edge at the St Ouen’s Pond Scrape (in front of the Eddie Buxton hide) which is personally very exciting as I’ve only ever seen them drink from the aviary water tray and the sheep bowsers. 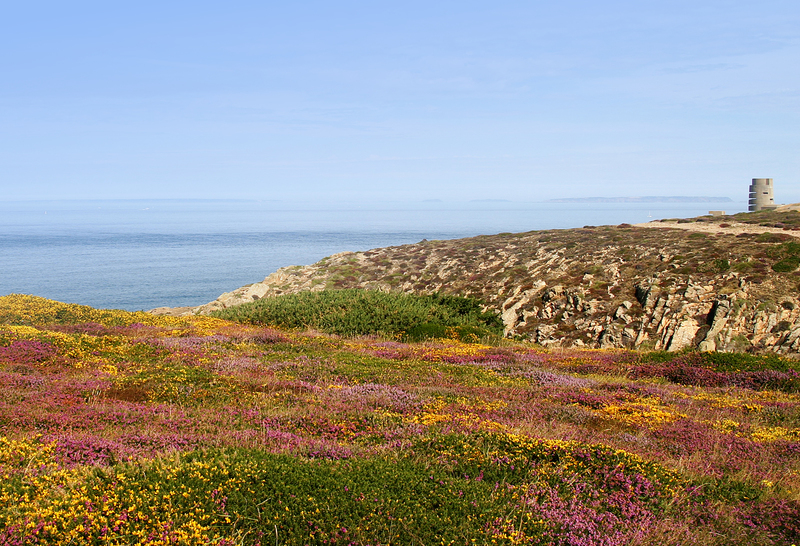 Kempt Tower and Les Mielles nature reserve are becoming popular with at least three of the choughs. 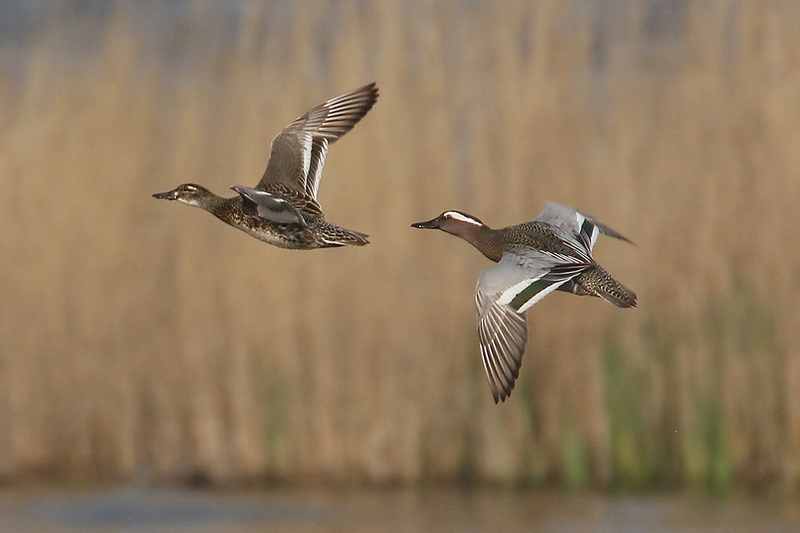 Thanks to Trevor Biddle’s photo of them down at the Scrape (south of St Ouen’s Pond) we know the identities of the three explorers; Pyrrho and wild-hatched siblings known to us as PP004 and PP005. 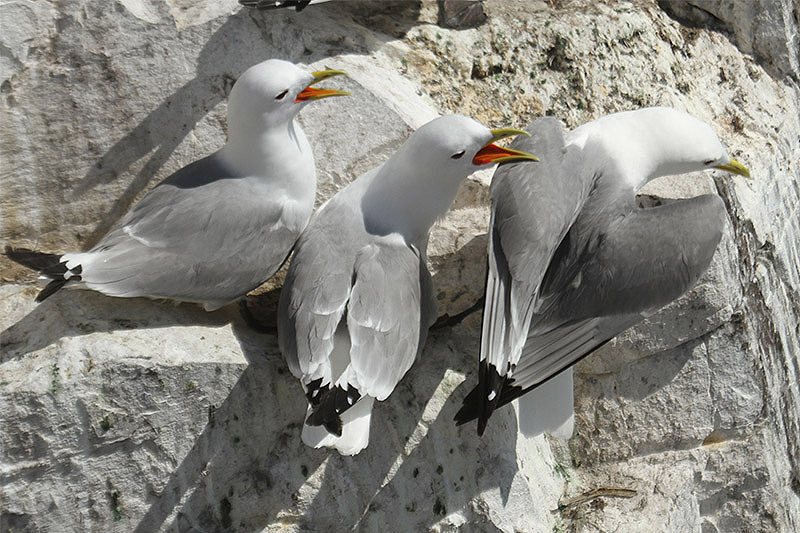 Rather interestingly these three have been a trio since the start of this year and observed carrying nesting material towards the quarry back in spring. 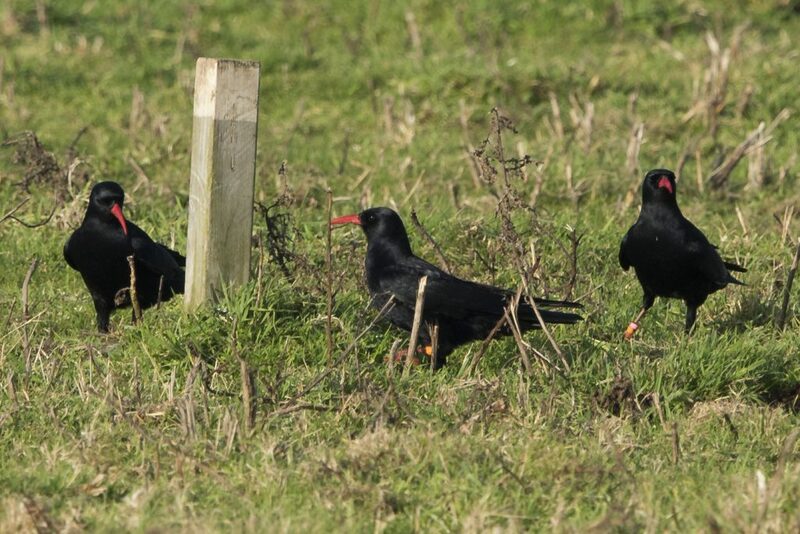 Three sub-adult choughs spotted by a member of the public near the Scrape, St Ouen’s Bay. Photo by Trevor Biddle. It is likely that people are seeing the same three in the area, but without leg ring information this cannot be confirmed. Understandably that information is hard to obtain, it is amazing just to get photos. All this knowledge feeds back into their long-term management plan so if you do spot choughs out and about in Jersey please do send in your report to birdsote@gmail.com or call 01534 860059 and leave the details. One chough who will not be venturing further afield anymore is Egg. We had a rather sad report from Ronez Quarry of a dead chough found behind the door inside one of their buildings. On collection of the body the leg rings told us the bird was a captive-raised female known as Egg. What we did not know was the cause of death since the body looked to be in good condition and time of death fairly recent. She was taken to the Zoo’s veterinary team for post-mortem analysis. X-rays ruled out any kind of trauma. She was underweight, but there was no evidence that she starved to death. Syngamus was present, but at a very low encounter rate. Internal investigation showed problems in her lungs and presence of acanthocephalans, a type of parasitic worm also known as thorny-headed worm. Once again we cannot say for sure that these factors caused the death, but certainly played a part in her demise. We are waiting on histology results for further information. 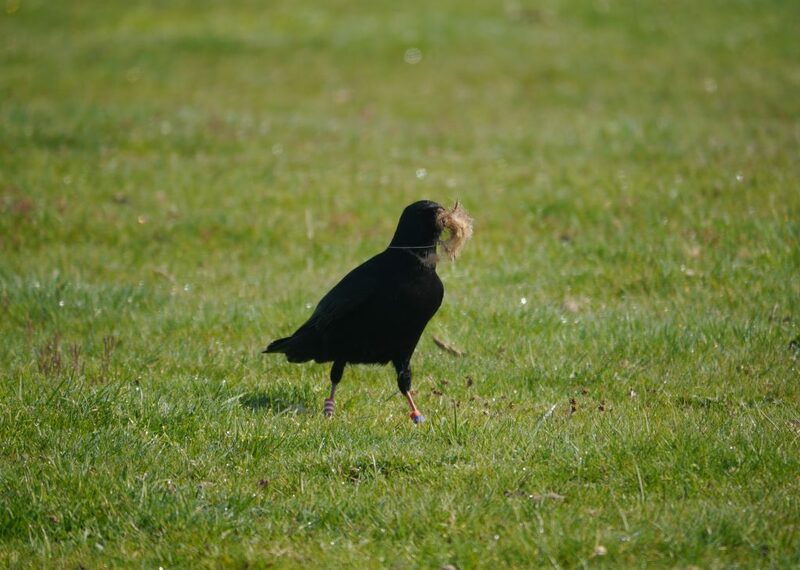 Captive-reared chough, Egg, collecting nesting material at Sorel back in April. Photo by Liz Corry. This brings the chough population down to 35 individuals; 12 males, 23 females. 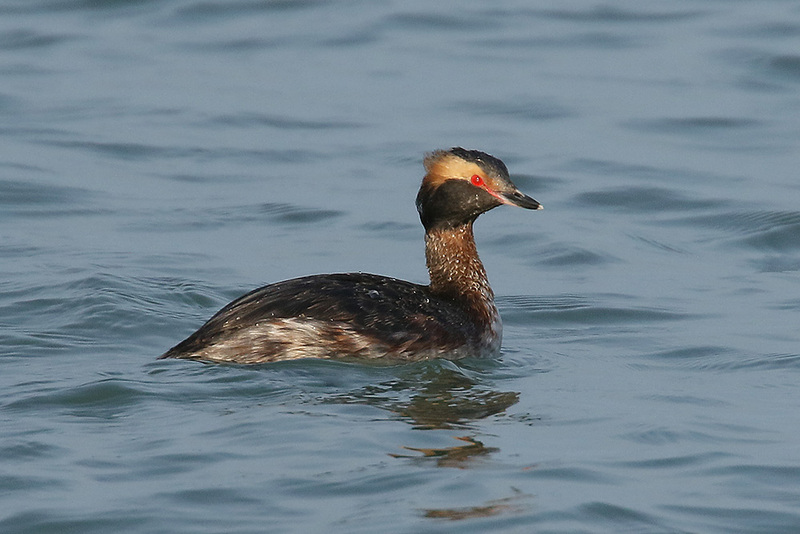 It also means we have lost a potential breeding female. Egg was partnered with Dusty and for a second year in a row had made a nest although nothing came of it. We will now need to keep watch on Dusty. Will he form a new pairing in time for the next breeding season only a couple of months away? Will Chickay finally get her chance after spending two loyal years following him? More importantly was Egg‘s cause of death a one-off or is something sinister afoot? Julian Hume and Lindsey Hubbard visited the aviary on 13th November. Julian, better known for his work with extinct bird species was excited to watch such an exuberant, and very much living, species! 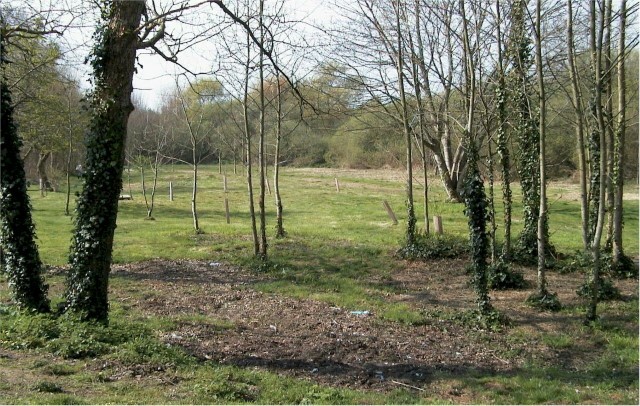 The release aviary at Sorel was originally granted a five-year lease of life under States of Jersey planning regulations. As this comes to an end this month we have submitted a request to extend permission a further five years. We still have a a group of choughs using the aviary as a roost site (not to mention kestrels and barn owls). There is still a need to recapture birds for veterinary treatment as demonstrated in last month’s report. The aviary facilitates this need. In the long term we are also looking at introducing new blood lines into the population which would require soft-release of captive reared individuals. We still aim to remove the aviary at some point in the future, but for now there is still a clear need for the structure. More information and opportunity for public comment can be found on the States website by clicking here. 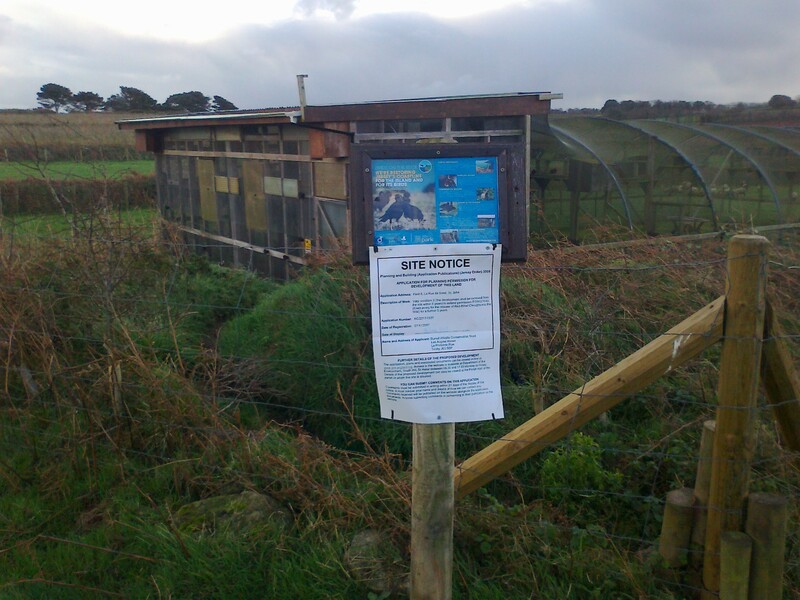 The required planning notification went up at the aviary on 9th November and has, thanks to high winds, been replaced four times! To some of us, nothing signals the arrival of the colder months as much as the bloom of the sunflowers from the BOTE winter bird crops across the Island. Their bold colours are the sign that the fields will again produce a good amount of seeds right at the time of the year when our farmland birds need them the most. 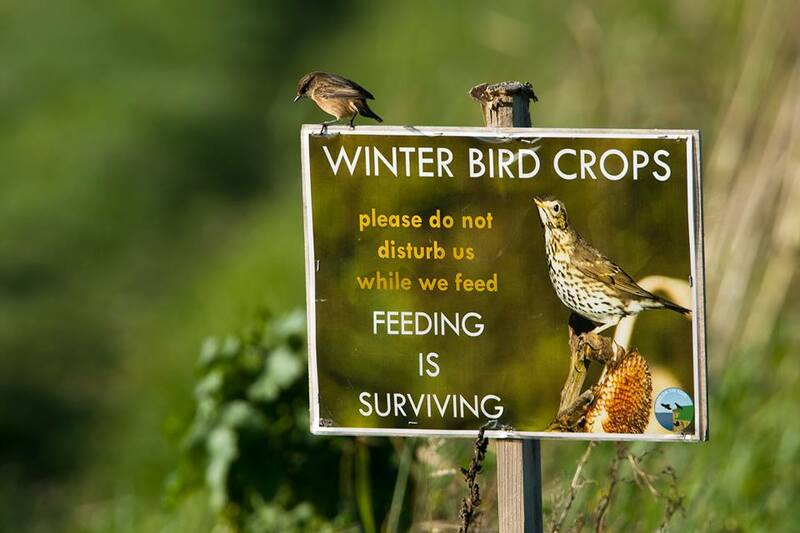 Just as the blooming of the crops signals the goodness to come, other signs go up, the ones that we put at the edges of the fields to inform neighbours and visitors about the role of the fields and their importance to the birds. 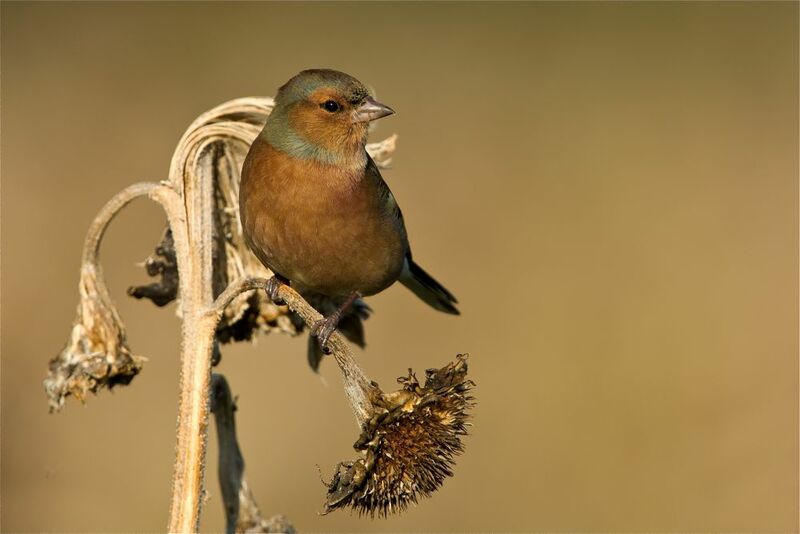 Away from their breeding grounds, be they here in Jersey or in far corners of Europe, once the birds arrive at the crops that we’ve prepared for them, all they have to do is survive. This translates in wildlife terms to “eat and do not be eaten”, and this is why the crops play such a crucial role: the seed from the crops provides the food, the structure of the crops and nearby hedges provides cover – from predators and bad weather. All the birds need at this point is to be left to it, so whilst more and more people love the sight of these impressive flocks by the crops, we ask everybody to enjoy the view from the boundaries and footpaths, and not scare the birds away from their food and shelter. This winter, with over 60 fields planted at fourteen sites across the Island, is already turning out to be one of the most interesting years that we’ve had at Birds On The Edge. In late October, when birds started to flock to the crops our resident chaffinches, greenfinches, goldfinches and linnets were joined not only by their continental relatives arriving from the north and the east, but also by other species of finches which we do not usually see in Jersey, in particular dozens, maybe hundreds of bramblings. In comparison, the previous winter only two representatives of this colourful finch were seen at the crops. 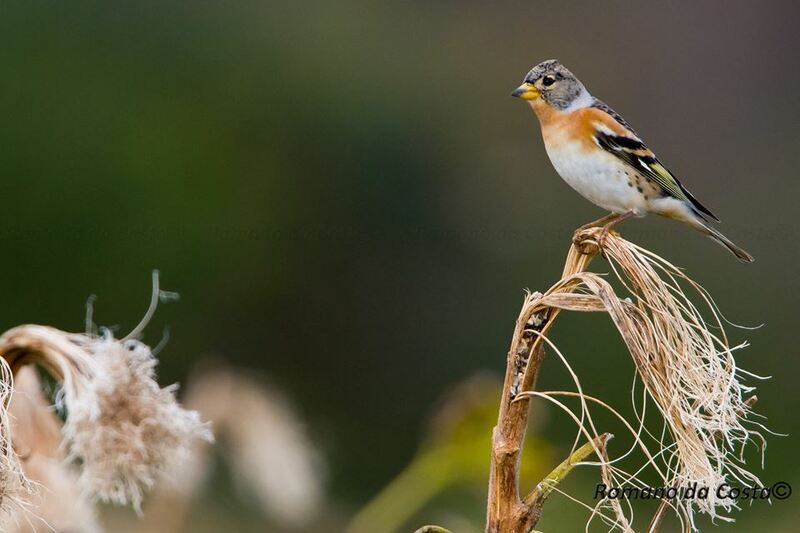 Bramblings will hang out with chaffinches and other finches, and have no problem following them to people’s gardens to feed, so if you start seeing chaffinches in your garden, particularly if the weather turns very cold, keep your eyes peeled for bramblings, they will be making their way there soon. 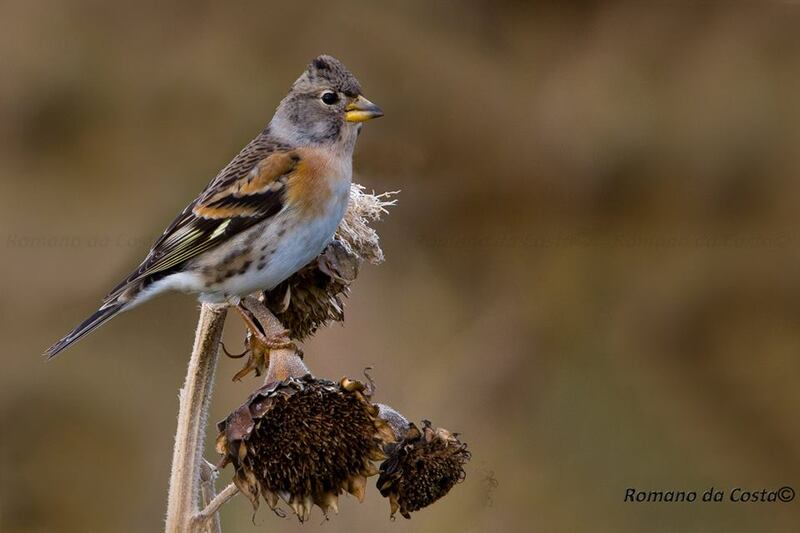 In conclusion, seeing that these hungry bramblings that found their way to Jersey and to the crops are feeding in them is a great sign that the fields are doing their job – providing sustenance for birds in need is exactly what they were planted for. The seed for the crops was bought with a generous donation from Action For Wildlife Jersey and a grant from the Countryside Enhancement Scheme. Action For Wildlife Jersey is a local group of nature enthusiasts and experts on various fields (excuse the pun) who organise many educational walks and talks throughout the year. The many farmers, sponsors and everyone at BOTE hope that you are enjoying the winter bird crops as much as the birds already are.